A helicopter crew recovered the body Sunday of a mountain climber who apparently fell to his death on Colorado's notorious Capitol Peak, authorities said. The man's body was located Saturday afternoon about 12,300 feet up the north face of the 14,130-foot peak in the Elk Mountains west of Aspen, the Pitkin County Sheriff's Office said in a statement emailed to NBC News. But access to the scene by foot is impossible, it said, and a helicopter crew was dispatched Sunday. The body of Ryan Joseph Palmer, 35, of Vail was retrieved about 3:30 p.m. (5:30 p.m. ET), the sheriff’s office said in a follow-up statement. Palmer's climbing partners said he split off from their group Friday night and tried to climb down the north face of the peak rather than attempt a descent via the dangerous Knife Edge, a narrow, jagged 150-foot section along the main route. After waiting for him at their camp, they reported him overdue. Two rescue crews totaling 14 searchers went looking for him Saturday, the sheriff's office said in its statement. "From what I understand, they never discussed him going another route. He just decided to do it himself," Sheriff's Deputy Marcin Debski told The Aspen Times. "We're all assuming that he thought the way he took was an easier route." 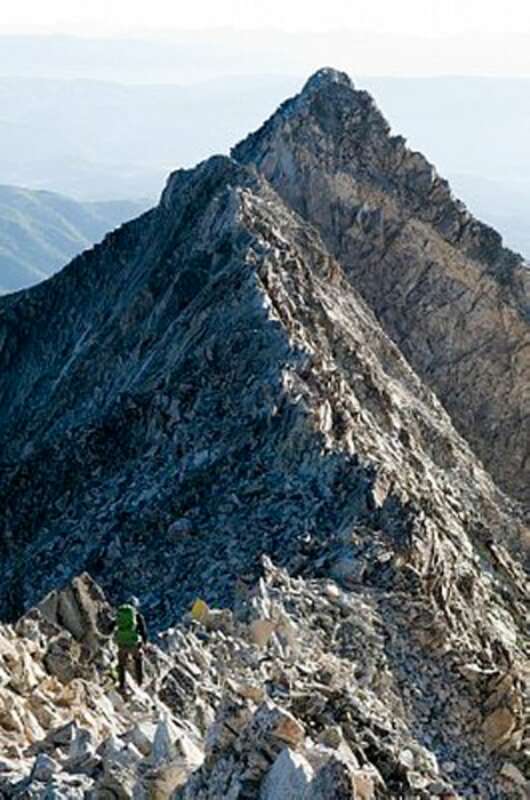 Capitol Peak is considered the most treacherous of Colorado's "fourteeners" — dozens of 14,000-foot high mountains rated for technical difficulty by mountaineering organizations. It's rated "very dangerous" by most mountaineering reference guides. At least seven other climbers have died on the mountain's face since 1957, according to figures compiled by the American Alpine Club. In Washington state, a 28-year-old hiker also died Saturday in a fall on Mount Olympus in Olympic National Park, The Peninsula Daily News of Port Angeles reported. The man, Richard Grey Liston, 28, of Portland, Ore., was climbing with a companion near the top the mountain when he fell to an area of rocks and glacier below, a park spokeswoman told the newspaper. His body was retrieved by a helicopter crew Saturday night, she said.